Established by the Reserve Bank of India, NIBM is the apex institution in Banking and Finance. It is renowned for quality training, education and industry interface. Such candidates must produce a certificate from the Principal/Head of the Dept./Registrar/ Director of the University/Institution certifying that the candidate is currently in the final year/is awaiting final results and has obtained at least 50% marks or equivalent based on latest available grades/marks. 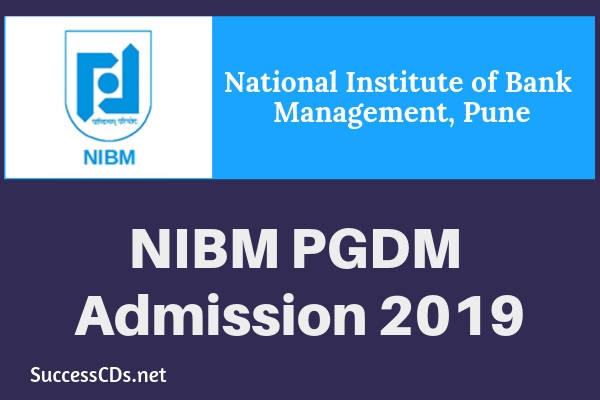 Such candidates, if selected, will be allowed to join the program provisionally only if they submit a certificate latest by June 30, 2019 from the Principal/Registrar of their college/institute (issued on or before June 30, 2019) stating that they have completed all the NIBM, Pune Post Graduate Diploma in Management (Banking & Financial Services) (AICTE Recognized) Admission 2019-21 requirements (the results may, however, be awaited) for obtaining the bachelor's degree/equivalent qualification on the date of issue of the certificate. Please fill in the Application Form very carefully. All fields marked with * are mandatory to be filled. Incomplete forms will not be accepted. Mistakes on account of wrong entries will be the sole responsibility of the applicant.